I am so excited! I crossed the 200 mark last night for google reader & blogger followers! It has been so much fun starting up this blog and meeting so many new blog friends! In celebration of the 200 mark, I wanted to do a small Give Away! to say thanks! I know it's a small milestone, but I feel like you have to celebrate the small successes in life! I want to thank everyone that drops me emails (kim.frostmeblog@gmail.com) or posts comments, they REALLY make my day! ...Also, stay tuned, I have a REALLY special giveaway lined up for about 2 weeks from now - I am so excited!! 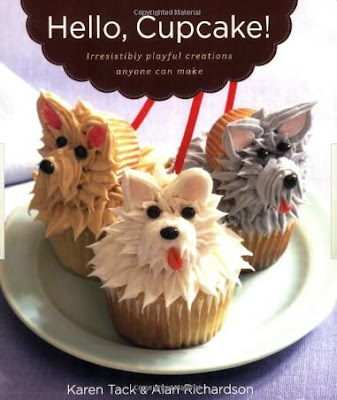 GIVE AWAY is a copy of one of my FAVORITE go-to cupcake books for parties/events. I hope you love it as much as I do! It give great pictures, tips and step-by-step instructions and no weird or professional supplies needed!